Hello, blog family! 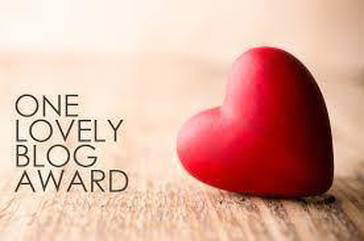 Imagine my surprise when last night I woke up to an e-mail telling me that I’ve been nominated for the One Lovely Blog Award by the tremendous couple on Husband & Husband. I’m so pleased that you two find my blog entertaining and informative (particularly because I absolutely adore your blog) so I’m more than happy to have gotten this award! Thank you thank you thank you to Aaron and Jonathan for showing Books and Cleverness some love. I truly love writing this blog, and any recognition I can get from it is greatly appreciated, so thank you. Easy enough, right? So without further ado, here are 7 facts about me! 1. I don’t eat seafood. I’m not going to go into too much detail about it, because my reasons are totally weird and even my family, though they understand, still can’t fully comprehend it. Basically, I love sharks. I’ve always loved sharks, and since I was little I’ve refused to eat seafood because it takes food away from sharks. A part of it is also that I don’t like the taste or smell, and I can’t stand seeing the eyes on lobsters and crabs. But regardless, I eat no seafood. Who’da thunk? 2. I knit! I’m a certified knitting instructor and I work at the local Michael’s teaching beginner and advanced knitting. The best parts about it? A) No one I know will ever be cold. B) I never have to buy Christmas presents, I just knit them. 3. I could eat ice cream for every meal for the rest of my life. I love it that much. 4. The only country outside of the United States I have ever been to is Canada! O, CANADA! OUR HOME AND NATIVE LAND! 5. I drink a LOT of coffee. An ungodly amount of coffee. The people at Starbucks not only know me by name but know what I’m up to most days, ask how work is going, etc. When we moved into our new apartment, I went to Starbucks the day after and they said, “Oh hey Rachel, how was the move?” So yeah, I drink a lot of coffee. 6. My goal is to be a somewhat successful book writer. I say somewhat because I’m not a complete idiot, and I know that I won’t be J.K. Rowling level of successful. But if I could be like Jim Butcher or Amy Tan level of successful, I’d be happy. Honestly I’d be happy even if I just wrote one book but made enough money off of it to live. I’ve already written short stories, poems, parts of books, and more. If I put them all together I’d probably have a fairly complete book. But writing is my dream. 7. Last but not least: I love horrible movies. I could watch Ice Spiders every day and never get sick of it. I love disaster movies, Category 5 was amazing. If it’s a bad movie, I’ll see it. And I’ll probably love it. So that’s some stuff about me. I hope I haven’t mentioned any of that in my blogs before! If I have, I’m sorry. I’m ashamed of myself. You can burn me at the stake now. Now onto the more important part – selecting the nominees for the One Lovely Blog Award! 1. https://thewritestuff123.wordpress.com/ – this blog is so good! If you’re interested in an eclectic variety of books to read, go visit her and see what she recommends. You won’t regret it! 2.https://errka220.wordpress.com/ – Erika in Bookventureland is awesome. From bookshops to visit to authors she’d want to meet, you’ll find it all! 3. http://publishinginsights.org/ – this is a great blog for people who are curious about how publishing works, how advertising works, best ways to calm down and realize that publishing isn’t going to happen in a day. Everything I’ve learned from this blog I’ll be taking with me when I try to publish my own books. So visit them! 4. https://mztressofallevil.wordpress.com/ – yes yes yes yes. Mztressofallevil is my go-to Disney blog. She has some of the most exciting Disney posts I’ve read, and it makes me happy every single time. Most recently she discussed the Disney Parks, which was extremely helpful with planning my Disney trip! So there you have it, folks. Thank you again, Husband&Husband for this award, I’m super stoked about it. And good luck to all of the bloggers I’ve mentioned!! Wow such an interesting reason as to why you never eat seafood. I’ve never heard that before. I usually assume that people don’t eat seafood because they’re allergic which is common to some of those I know…. I wish you good luck on your writing endeavors! Well deserved! Your blog is awesome!